Optically is committed to providing high quality prescription eyewear at low, affordable costs. Optically has the largest range of prescription glasses and sunglasses in the online eyewear market. Cutting edge virtual mirror technology allows customers to virtually try on frames they want to buy, and customers can order up to four frames to try on at home. Optically offers a 100% money back guarantee. If customers do not like the glasses they have purchased for any reason, Optically will give a full refund including postage. The process for entering a prescription is easy. Customers can either enter details online following simple prompts, with clarifications provided online, or they can send a photo of their prescription via email after buying. 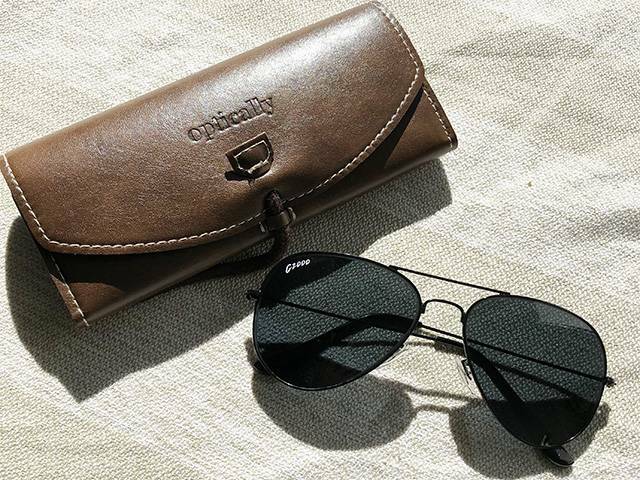 Either way, Optically takes the hassle out of ordering prescription eyewear. Optically also undertakes charitable optical work in India, doing eye tests and distributing free prescription glasses. The Optically customer is someone who loves to shop online, get good value for money, and have a large selection of stylish, timeless frames to choose from. 80% of Optically customers are repeat buyers. Optically offers complete pairs - prescription lenses included - from just $29 dollars. They also have a 24-hour dispatch for a selected range of glasses, meaning a complete pair will be shipped out no more than a day after a customer has ordered. Optically focuses heavily on customer experience and internal harmony. They are constantly working to better their understanding of new technologies and manufacturing techniques. Optically is focused on building their customer base while continuing to provide the same high quality, reliable service. Optically has always focused on listening to the customer and their needs, and building from there. This customer centric approach has seen them grow quickly from Australia to the rest of the world. Anand Keswani has been wearing glasses for as long as he can remember. It was only when he broke his glasses while studying overseas that he realised quite how expensive they were. After surviving with taped up frames for months, Anand decided to use the money he would have spent on a new pair creating a business to provide affordable, high quality prescription eyewear. Anand has a Masters in Business Administration from Middlesex University in the UK. He is passionate about growing Optically and continuing to provide high quality service for loyal customers.